The Foundation, Intermediate and Advanced are fully covered within our training package (note that each stage needs to be passed consecutively). Training is essentially free of charge to members who pay a substantially reduced subscription to the society during the first year and whilst undertaking training for the Foundation syllabus. Please use the contact form and or On-Line membership application form as appropriate. Once accepted, members will be put in touch with one of our registered assessors to agree an appropriate training program. Apart from the practical work (which is usually completed in two separate days) and the exam, we are now able to offer teaching online for all licence levels. 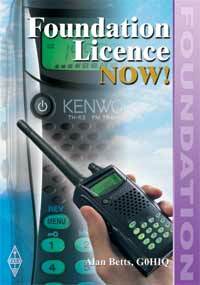 The Foundation licence offers a wide scope of usage throughout many bands and operating modes and is very popular to all, as the content is simple to learn. PLEASE NOTE. 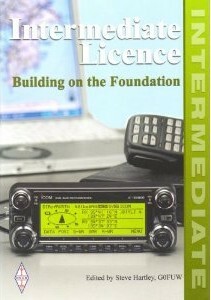 The Foundation and Intermediate licence examinations have now been reviewed by the RSGB and Ofcom. The syllabus of both examinations will change in October 2019. In the interim SARS will continue with the old syllabus and exam. Our training package is currently being restructured to account for these changes and we hope to be have new training material ready in time for October. 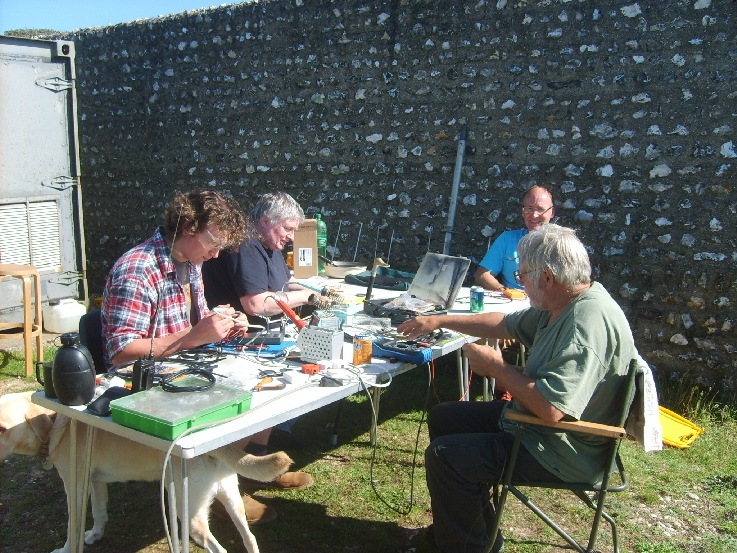 The Intermediate licence involves more electronics and propagation knowledge, as well as the ability to construct simple circuits using a soldering iron. This is still at an achievable level for most. 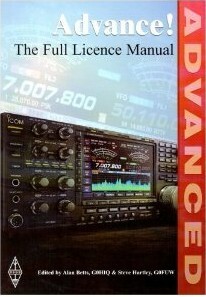 The Full (advanced) licence builds upon the knowledge gained in the previous modules in greater detail and the end result is a full amateur radio operating licence. The following photographs show one of the Intermediate training sessions held by Barry G8DXU at our Beachy Head site. Intermediate Licence students learning how to correctly terminate BNC and PL259 (UHF) Type coaxial connectors. The above test boards for learning basic electrical circuit theory are available as a complete kit from G8DXU to SARS members. 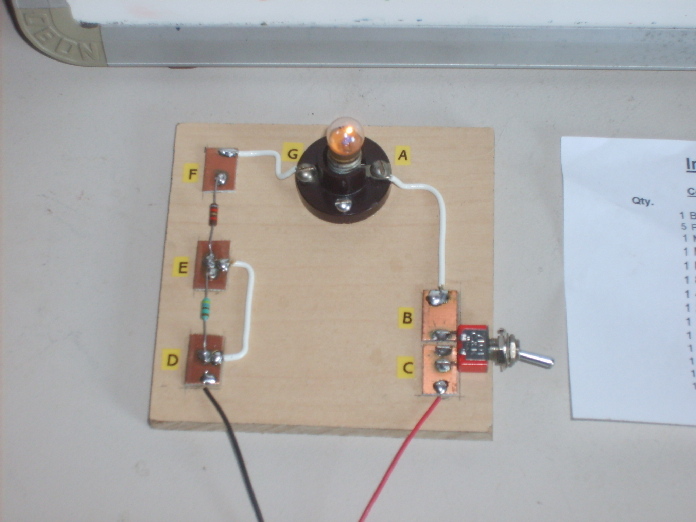 The test board is the basic building block for constructing simple circuits. 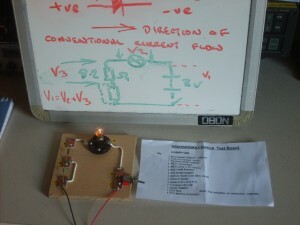 Students learn to make Voltage and Current measurements using Ohms Law to prove their readings. This Kit is an improvement on the basic item described in the Intermediate Manual. It contains all of the components necessary, including the Baseboard, PCB lands for soldering, Switch, Resistors, MES Lampholder & Bulb. 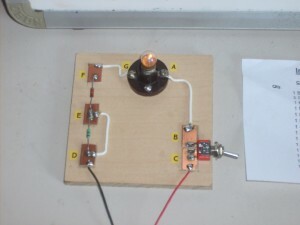 The Diode, LED & Transistor, together with wire and solder are also provided.